A couple of years ago Dan’s parent gave us some cuttings from their grape vines. Let me start by saying these grapes are amazing. 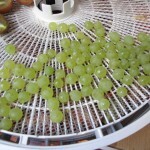 They are small champagne grapes and are so sweet and delicious with a flavor like none I’ve found at the store. They are perfect for kids to watch grow and eat – even our littlest one. The first year the cuttings were literally just sticks in the ground. The following year they had grown enough to call it a vine and had sprouted leaves. 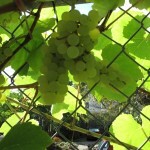 Last year I think we may have gotten a couple of grapes even, but this year is the year they really began to bear fruit. I would love to experiment with grape juice and jelly and I know Dan would love to try his hand at wine, but they get eaten up so quickly there is never enough to preserve. Our littlest one (who is almost one) does not crawl yet, but scoots around on his bottom. Whenever he sees someone come in with grapes in their hand goes crazy and scoots over faster than I would think is possible. 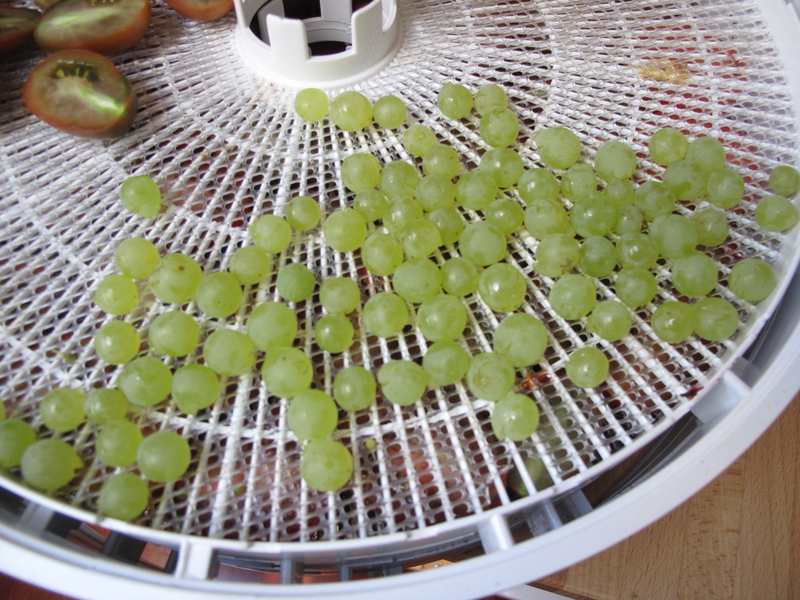 We dried one clump in the dehydrator just to see what these taste like as raisins and to be honest I think they lose too much flavor that way. They are definitely preferable fresh. The bummer about these vines is that our long term plan for the garden includes a replacement retaining wall and new (non-chain link) fence. This winter we may try to remove the vines from the fence and create an arbor that they can live on permanently. 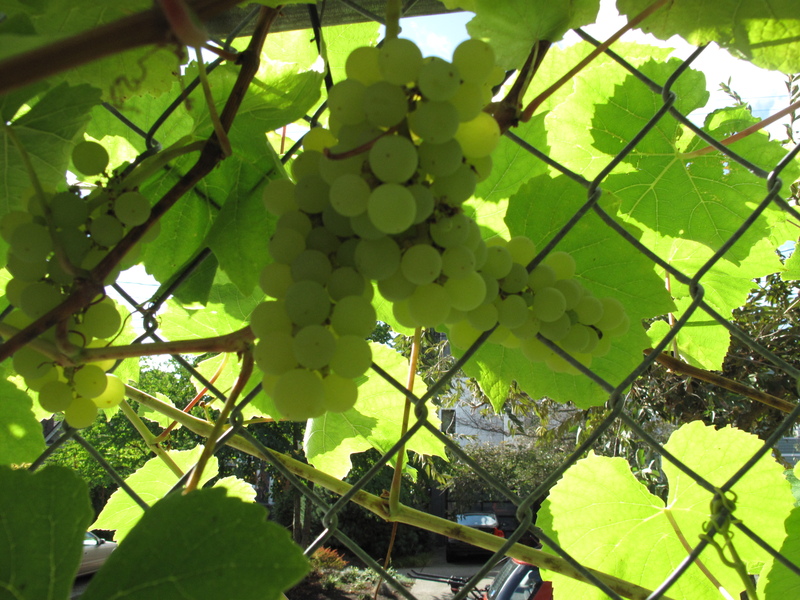 Funny you titled this post “Alexander the Grape”, since a) Otter Pops are delicious like these grapes, and b) my parents call them “Alex’s Grapes”, since Glenn Boeshaar gave the original cuttings to Alex to grow these grapes at our house. 20 years later they were passed along to us.